Last week, together with my relatives from Central Kenya we travelled to my new shaggz in Western Kenya for an invited visit. It was a trip that both families had been looking forward to all year as most, if not all of the invited guests had never been to Western Kenya. Actually, most had never even been past Naivasha. 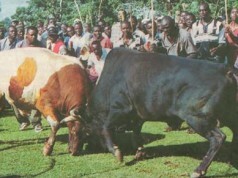 Just one or two had been to Nakuru. Anyway, the excitement of a trip to this ‘far away land’ was just out of this world. We could barely contain ourselves. So the day finally arrived, with the appointed time for departure from my parents’ place being 7am. Naturally, we didn’t leave at the scheduled time as we started our journey at 8.15am. No surprise there and if you ask me, we really tried. We tried because when you travel in a group (especially where the majority are women, and more so, women with children), delays are always inevitable and from previous experience, such journeys usually start 2 – 3 hours late. So in my opinion, 1 hr 15 minutes late was not too bad. And yes, my ka-mayai Kitty came along. Yaaay! The journey to Lugari took a whole 9 hours. Waaaaah! For those amongst us who are used to travelling for 45 minutes – 2 hours to shaggz, this was quite a culture shock I tell you. – Snacks snacks snacks! They are the most important item on a road trip. Carry as many as you can because for some strange reason, after you look at the trees, the fauna and flora out through the window on your journey, you somehow get hungry or you somehow feel the need to chew on something that’s not chewing gum. Thank God there was plenty of crisps, njugu karanga, bananas, ngwaci, bisquits, juices, waffles etc from amongst us. Oh and did I forget we had boiled eggs too? Eeehhh, but boiled eggs surely shouldn’t be allowed on a long journey for obvious reasons. Though somehow, eggs are one of the best snacks during the journey so I guess they’ll always be there. – Toilets toilets toilets! Trust me, whatever gas station you stop at for that needed bathroom break, (especially when you’ve been snacking all along), the washrooms will never be pleasant. Then again you can always hold it in until you reach your destination, but I highly doubt you’ll be able to do so for 9 hours –especially if you’ve been snacking in between. – Be sure to have stomach upset medicine with you. Enough said. – Carry your own tissue. Gas station washrooms NEVER have tissue. Beats me why. Grrrr. – Carry hand sanitizer with you. You might need to change the baby’s diaper while on the road and you may not have access to water at that particular time. – Why is it that people start the trip rather excitedly talking endlessly, but by the time the bus get to Uthiru, they are all asleep and the bus is silent –save for the occasional snores and farts? – Kids can really test your patience, because travelling for 9 hours with them is not easy. We had seven kids between us –aged between 6 months – 5 years. You just have to be patient with them. So we eventually arrived in Matunda at around 7.30pm completely exhausted and famished. But our fatigue quickly evaporated when we caught sight of the most wonderful buffet that had been prepared for us. The aroma nayo? Wacha tu. Trust me, there is something so exotic about food prepared in shaggz –can’t quite put my finger to what exactly it is, but I just know it’s too deadly. Maybe it’s the cooking on three stones? Perhaps. All in all, it was a lovely 4 days spent in the village visiting our relatives in Matunda, Kitale, Kimilili, Chesamis and Ndivisi in Bungoma. Places that my relatives from Central only get to hear of over the radio or see on tv. May I say that their mouths remained wide open all this time, as they kept saying that they were certain that they had travelled to the end of the world? They had never been to a place so far. 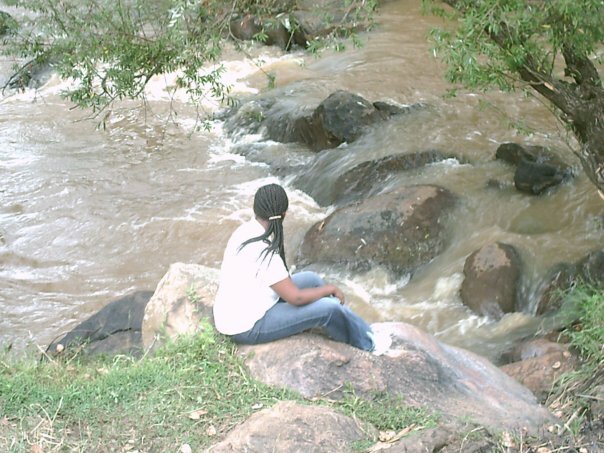 It was a good experience I tell you, especially when they oooohhhheeeddd and aaaahhhhhddd at the sight of River Nzoia. Oh and one other thing I learnt is that you need carry your mackintosh with you always. In shaggz, circumstances might force you to change the baby’s diaper on the grass. And without a mackintosh (a lesso can also do), the ants on the grass might have a field day on your baby’s nether regions. By the way I also got to discover that moms are superwomen. No kidding. Operating with seven kids all aged under five years is no joke. Getting them to sit down and feed, bathing them, dressing them, constantly watching over them, changing their diapers, getting them to sleep, answering all their 68 questions in two minutes and basically taking care of them requires special skill that only superwomen have. Tomorrow, I will tell you what else I re-learnt during this trip –with regard to inter-tribal marriages. Cheers. Previous articleAre Such Type of Friends Really Worth it? 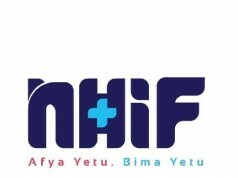 Has your House Girl Made her NHIF Contributions this Month? Is it You or Her Who is Supposed to Pay? LOL @Miss Babes, and have your people travelled to ‘Nyar Jem’? Aki si you’ll enjoy? And then when not asleep, the restless and impatient kids kept asking every 15 minutes whether we’ve reached Matunda. And their moms kept answering politely ‘not yet but we’ll be there soon’. 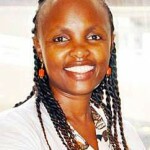 Si moms are blessed of God aki? @Lillian,you better stay married,your dad’s advice is spot on :). Coming from an inter tribal marriage myself,my shags is 2 hours max from Nai.Having relocated to the Western parts of the country all i can say is …i got mad respect for the people who travel in msamaria mwema to get to see their grandma’s. With two kids when we have to travel to shaggs in Kericho ,i get to sing those nursery rhymes with them(who knew they would be stuck in my head more than 2 decades later? ).Now my two year old can sing “twinkle twinkle little star” but can pronounce his sisters name …lol! I havent been to Gem… not yet… and BTW i have travelling.. mostly coz i like my comfort… mambo ya kujikunja kama spinach sitaki!! @Lillian for sure you better heed your dad’s advice:-). @santina rhymes are a good idea. Our mums kept us busy with hymns from ‘Nyimbo Standard’ remember those? As for Davi, perhaps you should start your own travelling consultancy firm offering tips and advice to travellers. It was fun travelling to the end of the world or so to say. I was mesmerized by the vast lands that people from Rift Valley and Western own and especially seeing harvested maize lying idle in the fields was a shock to me. I only hope that our Kamaus’ would learn as that in Central province would be history as someone would happily park a pick-up and load the harvested maize and sell to the owner the following morning. Loved the luhya people, there have such genuine love and generosity in them. God bless them all. nice piece there….cant wait to read part two. you know my parents told my bro, their marriage had better work. his wife comes from Funyula. the part they loved most was the amount of food they were welcomed with. waaaaah..those people know how to cook n welcome visitors, inlaws especially. @Mum Tash true, the hospitality accorded was out of this world. And @Dorcas, the welcoming,and the food….the food…the food….wacha tu.